There’s a lot of unconvincing spin coming from the Senate Democrats who brokered an awful “filibuster reform” deal with Senate Minority Leader Mitch McConnell Thursday morning. There’s a lot of unconvincing spin coming from the Senate Democrats who brokered an awful “filibuster reform” deal with Senate Minority Leader Mitch McConnell Thursday morning. Chief among them is the argument that this is any kind of actual reform—it isn’t. The deal doesn’t implement a talking filibuster sought by liberal Senators Jeff Merkley and Tom Udall. It doesn’t flip the filibuster burden to the minority, requiring them to come up with forty-one votes. It simply eliminates filibusters on motions to proceed only—and that’s if senators from both parties agree on it. There are also some minor changes to limit debate on sub-cabinet and district court nominations. Another silly argument is that, even though there were fifty-one votes to push through stronger reforms using the nuclear option, doing so would have angered Republicans and created more gridlock. This is a nicer approach that will encourage more comity. “It’ll give great momentum to working on a bipartisan basis here in the Senate,” Carl Levin told reporters. Anyone who actually believes that has a wildly undue faith in Mitch McConnell. Yet another argument, channeled here by Ezra Klein, is that a massive filibuster fight is pointless with a Republican House, which will kill any liberal Senate bills anyhow. Putting aside any consideration of a long-term strategy, this would still be true only if the House had a say in nominations—which of course it does not. If a conservative Supreme Court justice retires or dies in the next four years, and the GOP filibusters Obama’s liberal appointee, let’s check back in on this theory. The one argument with some real sway—and one aimed right at the progressive activists pushing for reform—is that if the filibuster is abolished, liberals would be unable to stop scary GOP bills should that party regain control of the Senate, which is at some point inevitable. But this argument is just as unpersuasive as the rest. It ignores the historical use of the filibuster, and recent Democratic reluctance to be anywhere near as aggressive as Republicans. The filibuster simply hasn’t been in the purview of liberals in the Senate—and it likely won’t be if Republicans gain control in 2014. Just look at the record under Harry Reid when George W. Bush was president. Democrats in the Senate used the filibuster sparingly compared to Republicans post-2006, when its use absolutely skyrocketed. The cloture votes in 2009 and 2010 were more than the sum of cloture votes from 1919 through 1982. Reid wielded the filibuster most publicly against Bush’s judicial nominees—but he still let through all but a small handful of true radicals. In fact, he even let those judges through in 2005 when McConnell threatened to use the nuclear option—including a judge who likened Social Security to cannibalism and thought all regulation might be constitutionally suspect. It’s just not likely that Reid, or whoever leads Senate Democrats next, would come close to the level of obstruction now practiced by Republicans, which is just what the stronger reforms were meant to address. Reid doesn’t have the stomach for it—ironically, his cautious approach and respect for the institution of the Senate that lead to today’s weak reform would also paradoxically lead to an unwillingness to wield the filibuster as strongly if he found himself the minority leader once again. Simply put, the most radical ideas put forth by Republicans, and thus those most deserving of the filibuster, are likely to be wildly unpopular. They can be defeated without it. And in the event of a crisis, Democrats would still have the talking filibuster. An even broader point—and the most important one—is that the Senate was simply not designed to work under a sixty-vote threshold. It’s not what the framers intended. The Senate is considered the more deliberative body because members have six-year terms and generally bigger constituencies, not because they are supposed to pass everything with a supermajority. 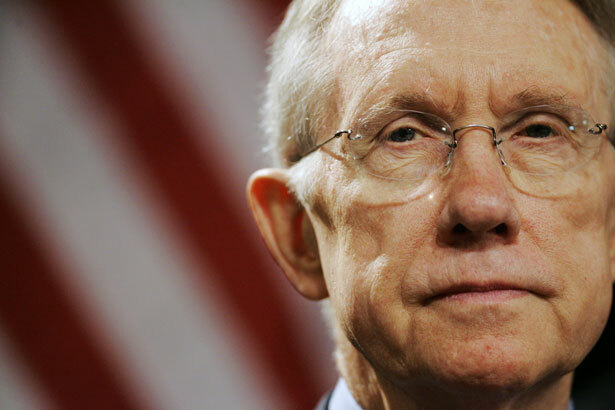 If Reid truly respects the institution, he should have considered restoring it to its original form.